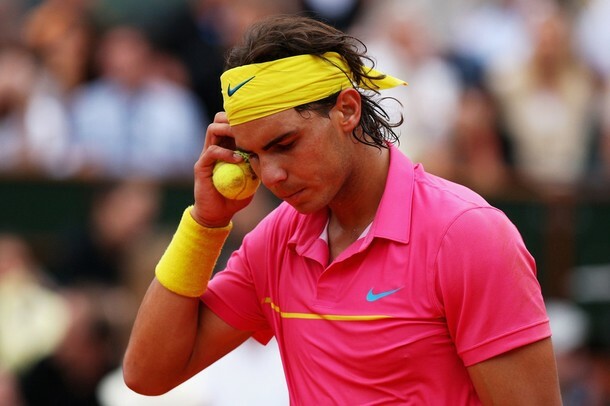 French Open Blues, Longchamp is Pretty in Pink & Rafa Nadal…Preppy? Hello-Hello, and happy first week of June! Yippee! 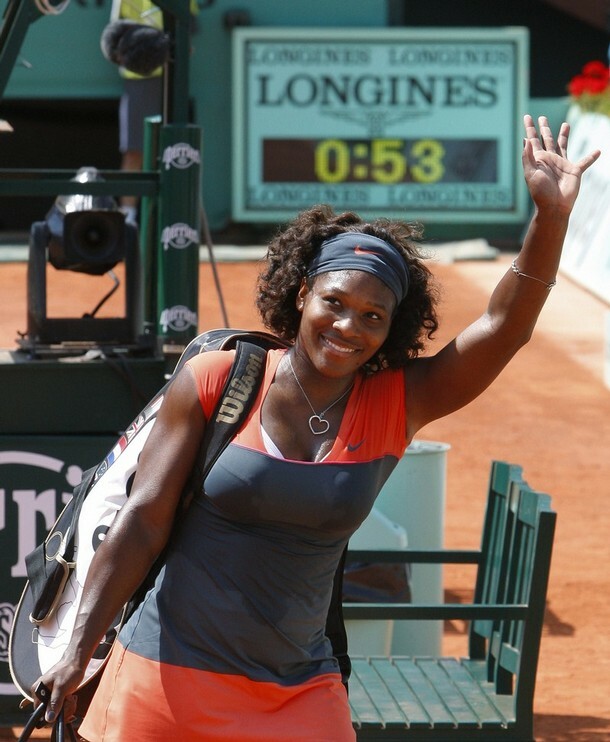 Has everyone been watching the goings-on at Roland Garros? Some amazing things, we must say, and not all of them involving the actual play, although we were stunned to see the early ouster of Rafael Nadal. No, we’re talking once again about the fashions at this year’s French Open, and feeling like we didn’t get the blue memo. Above left, Roger Federer and on the right, Serbia’s Jelena Jankovic. Below, we see Belarus’ Victoria Azarenka (R) and Serbia’s Ana Ivanovic. Also in blue tones with teal and turquoise, Maria Sharapova. Is it just us, or does this style almost make Ms. Sharapova look matronly? 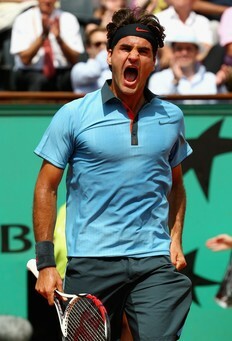 A difficult thing to achieve given the tennis star’s natural beauty. Below, Roumania’s Sorana Cirstea sports similar colors. 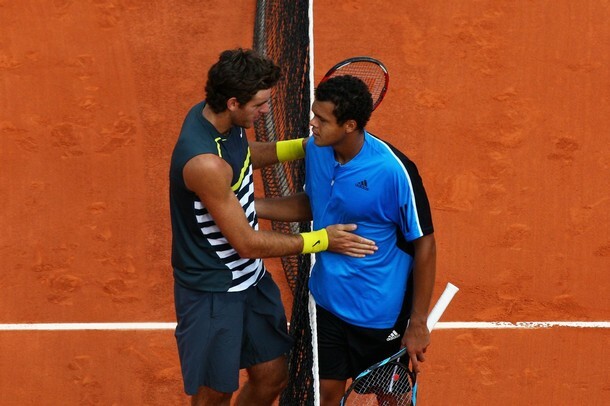 Two more in blue, Juan Martin del Porto of Argentina (L) and Jo-Wilfried Tsonga, France. If blue isn’t your hue, then there is always our favorite color: pink! Below, superstar Rafa Nadal. The Nike Bold Open tennis polo Mr. Nadal is wearing is available online. The Spanish heartthrob was also in pink for the news conference following his loss to Sweden’s Robin Soderling. In fact, we’ll just declare that both of the pink tops qualify as today’s Pretty in Pink. Russia’s Svetlana Kuznetsova was in the pink as well, paired with black. 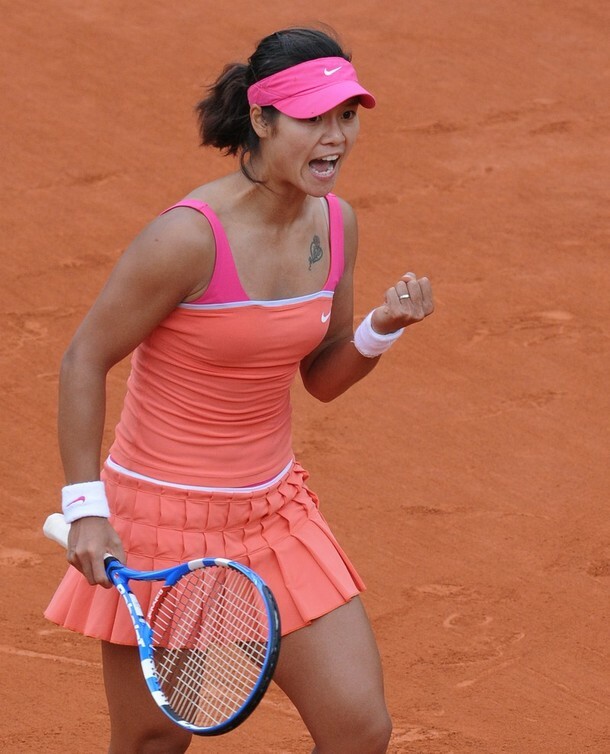 Next, China’s Na Li in what is rapidly becoming a popular combination, hot pink and orange (or a peachy salmon/coral). Serena Williams donned a similar orange offset by dark gray. Those mourning Mr. Nadal’s status may wish to turn their attention to this story from the June issue of Vogue. Renowned photographer Bruce Weber did the photos for the story. 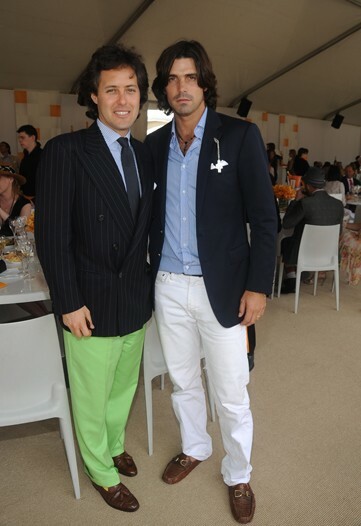 In the photo directly above Mr. Nadal is in a Nike shirt and Tommy Hilfiger khakis, the white linen suit in the first image is Ralph Lauren Purple Label. As always, for the true insider’s scoop on all the tennis happenings, toddle over to see Rich at Down the Line Tennis, as he seems to know simply everything that’s happening on the circuit. Is everyone familiar with The Laundress? If not, trust TP when she says it is a fabulous line, one we greatly admire. To receive 20% off all purchases through June 30th, use promo code INSTYLE09 at checkout. Also offering a 20% discount, the funseekers at one of our online faves, Fred Flare. Really, where else does one find upscale accessories like this? The bacon bandage is one of this spring’s must-haves, to ensure you receive the 20% discount use the same promo code at checkout, INSTYLE09. Who says we don’t have an eye to the elegant, the refined, the timeless classics, hmmm? The Longchamp X-Light Nylon Tote is an excellent buy dolls, at $269; the original price was $385. To receive free shipping at Saks (no wretched minimum purchase foo-foo to cope with either) use promo code SAKSSHIP9 at checkout. 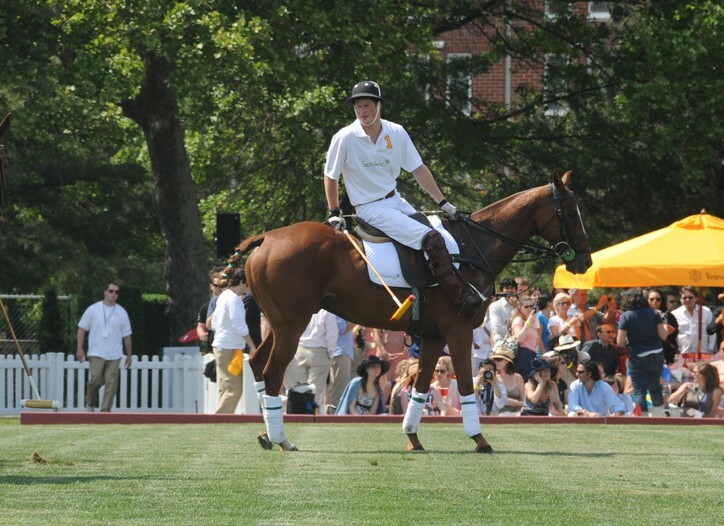 We leave you with just a few photos from this weekend’s Veuve Clicquot second annual Manhattan Polo Classic. We begin with David Lauren (L) and Nacho Figuera. And HRH Prince Harry of Wales. We shall share more tomorrow. Promise. On that chipper note, we say ‘ta until next time!